From big news to forgotten news and back again, Galileo has chartered difficult territory before it has even taken off. Linda Wain takes a look at the battles, and prospects, that have come from the EU navigation system with military designs. The first of the Galileo programme satellites, Giove-A, was launched in December 2005 and is sending signals to Redu ground station. 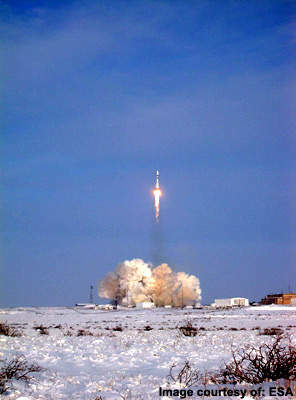 On 28 December 2005, Giove-A lifted off on schedule at 05:19 UTC (06:19 CET) from Baikonour, Kazakhstan. Artist's impression of the Giove-A satellite. It is capable of communicating not only with geostationary telecom satellites located above the Atlantic and Indian oceans but also with a wide range of spacecraft engaged in various missions. When combined with the US GPS global positioning system and Russian Glonass, Galileo offers 50 satellites to choose from – one of which is likely to always be overhead. Artist's impression of ESA's Galileo global navigation satellite system. By doubling the available satellites it will provide the provision of accuracy on a global scale. 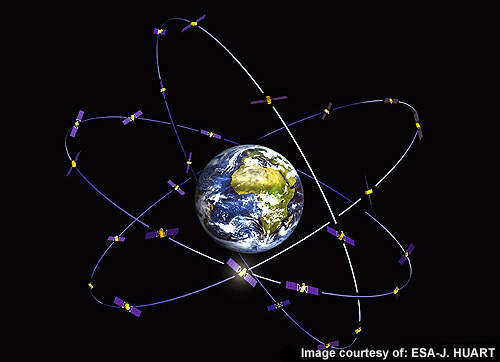 Artist's impression of ESA's Galileo global navigation satellite system and applications. It has been insisted that its only role would be civilian – to monitor natural disasters, air and sea rescue services – and a range of commercial uses. ESA's Galileo global navigation satellite system will support multiple applications in the field of traffic management and driving assistance. 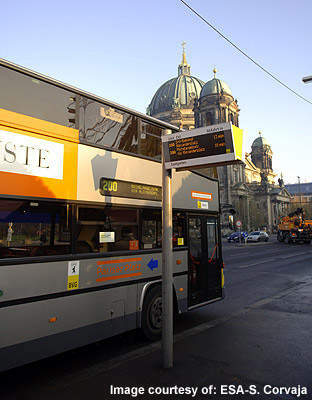 Thanks to the Galileo programme, bus traffic forecasting has been made available in real time to users through satellite positioning of the vehicles in Berlin. 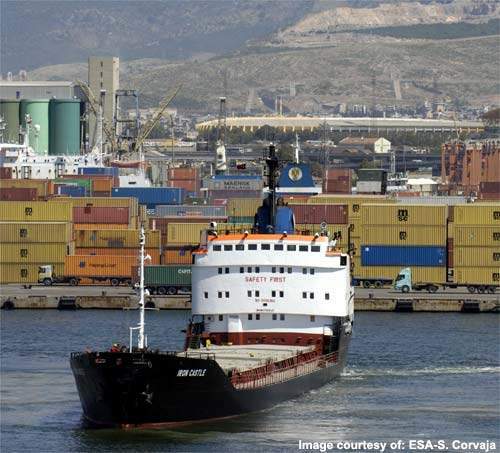 ESA's Galileo global navigation satellite system will support multiple applications in the field of maritime navigation. 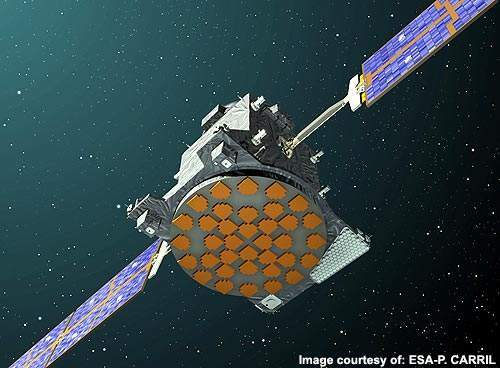 Developers of Galileo, the EU’s not-quite-there-yet radio satellite navigation system, had an uphill struggle to gain funding, largely owing to the UK government’s reluctance to admit it could be a major defence advance. It insisted instead that its only role would be civilian – to monitor natural disasters, air and sea rescue services – and a range of commercial uses. Galileo appeared to be in jeopardy in May of this year when talks collapsed, but all 27 EU transport ministers approved finance in June. 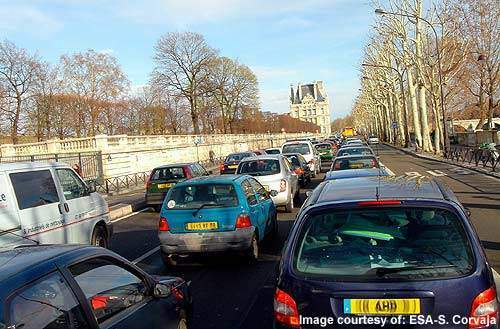 Jacques Barrot, the EU’s transport commissioner, had warned that the entire project was at risk if they could not work out their differences. Ministers approved an initial outlay of €2.4bn of public money towards the total cost of €4bn; the remainder to be met by private industry. National governments had already committed €1.3bn. A major importance of developing Galileo is that neither the Russian nor US satellites can guarantee to maintain uninterrupted service; a fact admitted by both military operators. As satellite positioning is the standard method of navigating, the switching off of signals would make it difficult for commercial and military crews to revert to traditional navigation methods. As the use of satellite navigation spreads, the implications of signal failure will be even greater, jeopardising efficient operation – even human safety. Officials were concerned that the EU would lose out competitively for global space technology as the US, Russia, China and Japan are all forging ahead in the bid to build and improve similar technology. The EU has seen the need to provide improved protection since the 1990s and concluded a similar structure should be put in place to that which built the Ariane launcher and Airbus – an independent system under civilian control. Galileo will be inter-operable with the US and Russian systems, providing a cornerstone of the Global Navigation Satellite System (GNSS). By doubling the available satellites it will provide the provision of accuracy on a global scale, even covering the most remote places on earth and where high-rise cities could otherwise obscure signals from satellites low on the horizon. While governments have been reluctant to talk about the potential boost the project can offer the army’s defence and attack capabilities, private business has been harking about its benefits. And there is no doubt why – a lot of enterprise opportunity exists as a result of Galileo. Alistair Scott, adviser and former director of Astrium, wholly owned by the European Aeronautic Defence and Space (EADS), says the system in whole will offer 30 more satellites to the pool, which when combined with the US GPS global positioning system and Russian Glonass offers 50 satellites to choose from – one of which is likely to always be overhead. “Additionally, Galileo satellites’ orbit angle is higher so they provide improved coverage to GPS. We are now talking of location accuracy within centimetres so it could also improve missile accuracy,” Scott says. roads, and the emergency services arriving at an accident almost before it happens. “We reckon the space industry is worth £7bn in the UK alone, with some 70,000 people earning their living directly or indirectly in the space business,” Scott says. GNSS receiver and equipment manufacturers, and application providers, will be two of the biggest winners if Galileo goes ahead – they have the opportunity to exploit opportunities to develop new business services on the back of the satellite project. Exactly what these possibilities are will become clearer when the international colloquium meets in Toulouse from 1 to 4 October this year, organised by Air and Space Academy, Bureau des Longitudes, Académie de Marine and ESA. By bringing together technologists, Galileo hopes to discover the numerous possibilities for developing very sophisticated aspects of cutting-edge technology, although commercial providers in the US and Canada are already marketing services based on Galileo. They state the system has a proven track record for stability, with a near-perfect error rate, so providing an excellent platform for numerous virtual private networks (VPN), voice-over internet protocol (VoIP) and other applications that may crash over other satellite networks. Contracts will also roll in for maintenance and service work. June marked the awarding of a contract for maintenance and operations services for the ESA Redu ground station to Redu Space Services SA – a joint venture between SES ASTRA TechCom Belgium SA and Verhaert Design and Development NV. The new contract should further the provision of numerous commercial opportunities, including internet services run from mobile phones fitted with chips for finding such as hospitals and ATMs. It could also be used to guide tourists and locate lost children, would enable governments to introduce wide-scale road charging, and will underpin Europe’s new air traffic control system. Redu has been operating for nearly 40 years, performing ground control and in-orbit testing of satellites for ESA missions, during which it pioneered TV satellite broadcasting. The station also receives and processes earth images from the Belgian Proba spacecraft and regularly works for ESA’s Artemis data relay mission and the astrophysics space observatory, Integral. 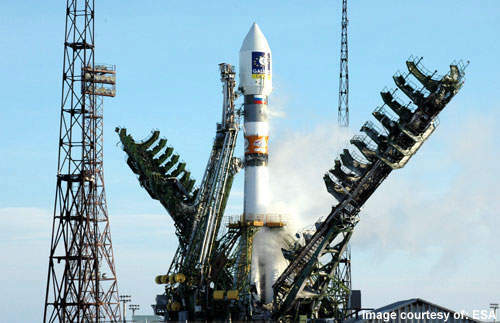 The private sector’s role will be to operate the system and new bids are now sought for the task of satellite operation and maintenance, only one of which is currently in orbit, despite the original plan of having 30 in place by 2010. This first one, Giove-A, was launched in December 2005 and is sending signals to Redu. It is capable of communicating not only with geostationary telecom satellites located above the Atlantic and Indian oceans but also with a wide range of spacecraft engaged in various missions. Giove-A is currently checking out a number of components, including the in-orbit performance of two types of atomic clocks – critical to any sat-nav system. Rubidium is so stable that it will lose only three seconds in a million years, but the hydrogen will lose only one second in three million years. 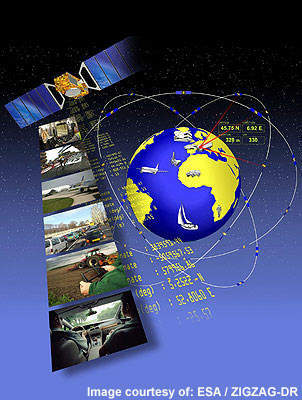 Progress had been delayed by arguments inside the industry consortium as there is considerable doubt whether Galileo can compete with the US Pentagon’s global positioning system, GPS; the latter being offered free to businesses whereas Galileo plans to charge users – although some potential subscribers may be attracted to being able to choose special security and commercial services. However, a website set up by a Bruce Schneier claims that the Galileo code has been cracked by Cornells’ Global Positioning System Laboratory, theoretically allowing consumers to gain free access. Major delays to the project have been caused by failure to appoint a chief executive, agree on a headquarters and establish a management structure – all deadlines having been missed by 18 months; and the EU had almost lost its frequency allocations after failing to put satellites into orbit early enough. To protect these rights, the ESA went outside the consortium to order a €30m signal demonstrator satellite from Surrey Satellite Technology. The company had built it in less than three years – a 600kg £19m spacecraft which was lifted into orbit on a Soyuz rocket from Baikonur, Kazakhstan. Four other satellites have now been ordered, towards the planned 30-strong constellation. A major contribution to delays was that the European Commission settled on merging the two consortia which competed when tenders went out three years ago, and that meant dealing with the national interests of eight companies and five countries, including TeleOp of Germany, the Franco-German EADS Astrium, Immarsat of the UK, Thales of France, Aena and Hispasat of Spain, Finmeccanica of Italy and Alcatel-Lucent of France. German transport minister, Wolfgang Tiefensee, whose country currently presides over the EU, claimed it needed the expertise the technology would provide ‘and the jobs the sector will generate’. It is hoped that at least 150,000 jobs will be created and bring a return of investments up to €9bn, making it a highly lucrative infrastructure. China, Israel, the US, Ukraine, India, Morocco and South Korea initially expressed interest in investing in the system. China had offered in 2003 to plough more than €200m into the Galileo project but now claims that its own Beidou satellite network, originally intended for military use, would be an open system usable by anyone – and this is expected to be fully operational for home use by 2008. 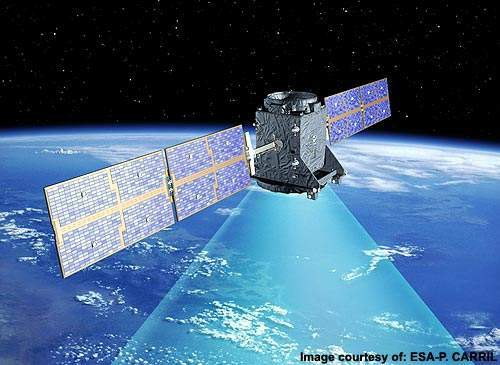 China’s 30-satellite system, currently with a navigational fix accurate to within one metre, will be used by civil aviation, rail, waterway and road transportation according to a Sino-EU technology cooperation symposium in Nanjing, capital of the Jiangsu Province. Once Galileo is implemented, we will see a long-awaited improvement to navigation services. The Galileo system will provide a level of service unobtainable through GPS, bringing numerous benefits in many fields, encompassing both civil and military applications.